The Royal Kamuela Ubud is situated in the cultural hub of Bali, a 10-minute walk from the famous Monkey Forest. 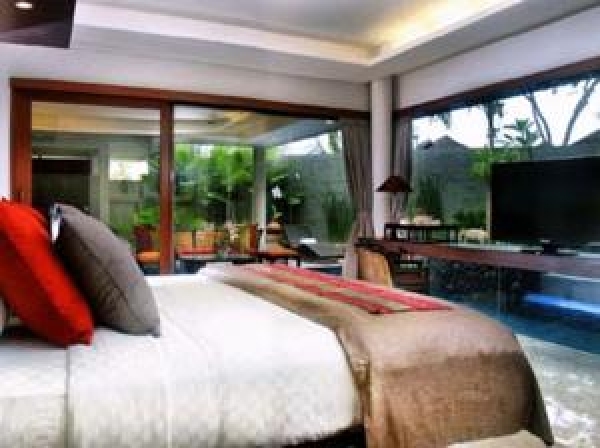 It provides beautiful villas with private pool, surrounded by tropical gardens. Enjoy an open-air concept, with large windows offering spectacular views of the garden and warmly designed villas, with luxurious furnishings and beddings, a flat-screen TV with satellite channels and a minibar. A kitchen and seating area are also provided. Guests can enjoy relaxing massages and spa treatments at The Royal Ubud Kamuela Villas.